In the desert, a lonely soldier stumbles upon a listless dog. They trade glances. The soldier speaks a few sympathetic words and offers the pathetic pup a pat on the back. The dog whimpers. And in this seemingly mundane exchange, both of their lives are forever changed. In the four-legged creature, the soldier finds companionship, hope and a sense of normalcy that’s been missing in his life since he found his way to Afghanistan. In the soldier, the dog finds safety, comfort and an affection he’s never known. Over the days and months ahead, man and his beloved new best friend form an unbreakable bond made only stronger by the stresses of war, chaos, destruction and discord. And then, it’s time for the soldier to return home - without his battle buddy. 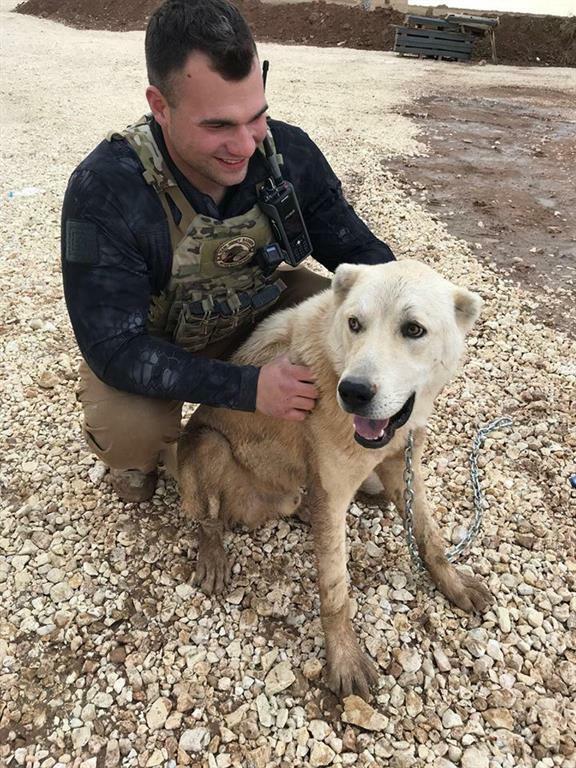 No Dog Gets Left Behind provides financial support to reunite military personnel with the stray animals they found and bonded with while at war - a $5,000-per-dog expenditure that includes vaccines, medical treatment, transportation and more. While the financial investment is high, the relief, comfort and joy this program provides soldiers is immeasurable. To date we have funded over 60+ soldier/dog reunions. How to help? You can support No Dog Gets Left Behind by making a donation or purchasing No Dog Gets Left Behind merchandise - a simple, affordable yet profoundly impactful gesture. If you are interested in volunteering or fundraising, please contact us. Can we count on your help today? SGT Jeremy writes, "Kalb is a dog like none I have encountered before. We immediately bonded both myself and my team stationed here. We are out on long missions every day and it gets tiring after a while. Kalb’s presence really brightened our day and brought us back to a state of relaxation. It was nice being able to focus on just taking care of a dog again, like back home. We would be gone for a long day, but we would all look forward to just getting back to the base to hangout with him for a bit before the next day began. There is so much death and destruction where we are, and it never stops. You can only do so much. Helping Kalb allows us to make a difference at least to his life. Dogs here are treated horribly and they have virtually no life expectancy. I want to get Kalb out of this country and give him the life he deserves back home. 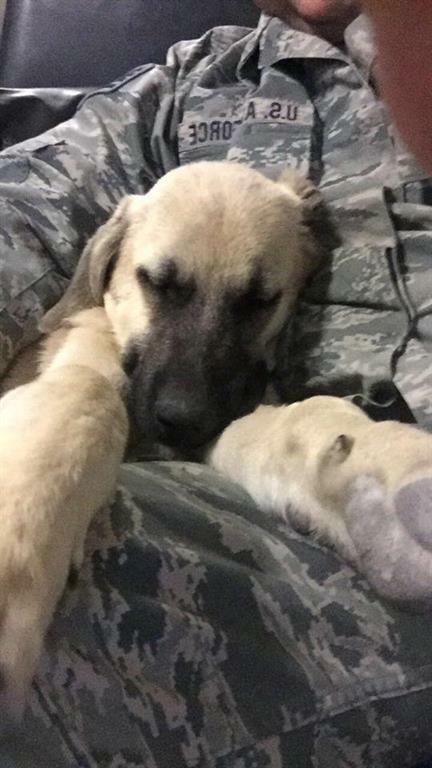 Airman Daniel writes - "I first met Hercules one random day when a family of puppies came to the site. There are a bunch of wild dogs around the location we are at and there isn't that many people around so it was just great. A group of us were petting the dogs and when we went to go back to work Hercules decided to just follow us from then on. His family went one way and he went ours. He is very calm and each day he greets you excited to see you. Herk is a friend to everyone and you can see him running all over trying to be a friend. While being deployed where there isn't much that seems familiar. Herk has become family and I look forward to showing him the large green pastures in my home state!" Soldier Sebastian writes “I’ve worked with stray and abandoned dogs before. I could tell these dogs crave a better life and want to trust humans, but they had been abused in the past and are wary of us. I slowly began to earn their trust by feeding them as often as I could, speaking softly and trying to convey kindness. 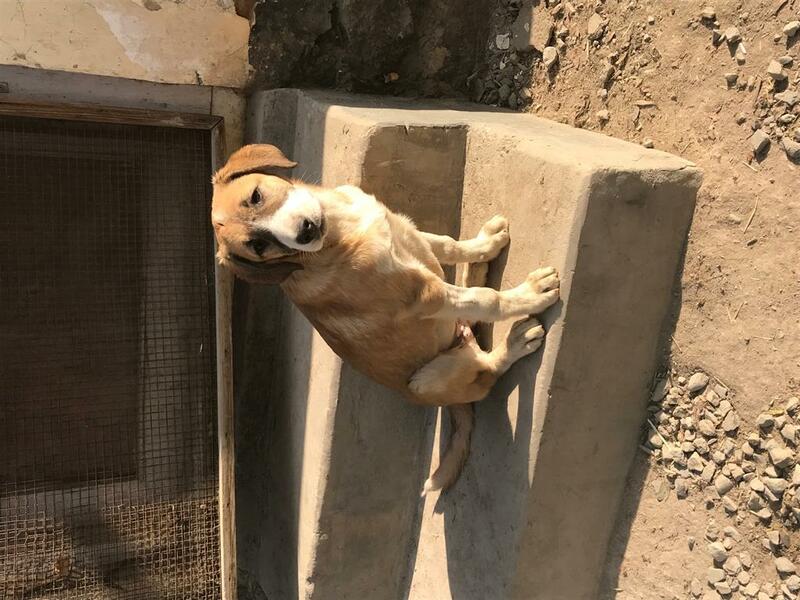 ….. Never a growl, not a trace of aggression, just faith in us humans and the hope we would take care of her.” NDGLB funded Jessie's journey from Afghanistan to her soldier here in the USA.